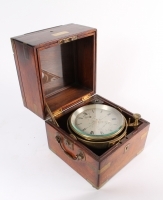 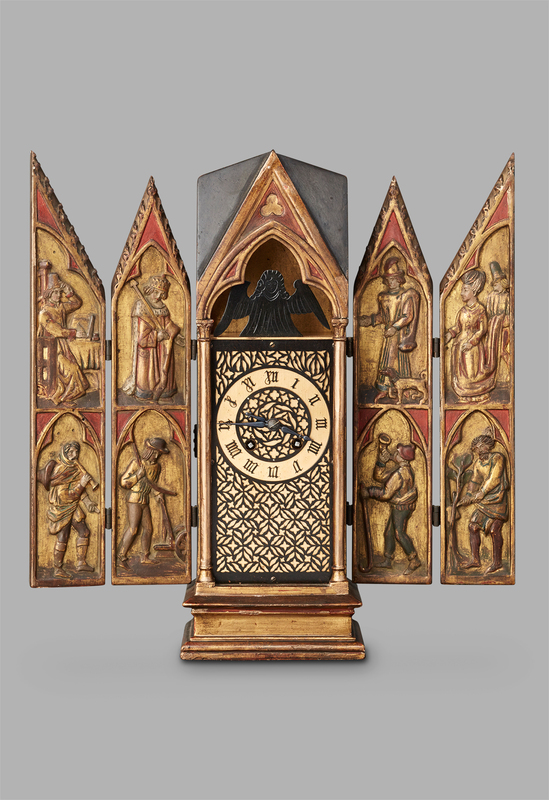 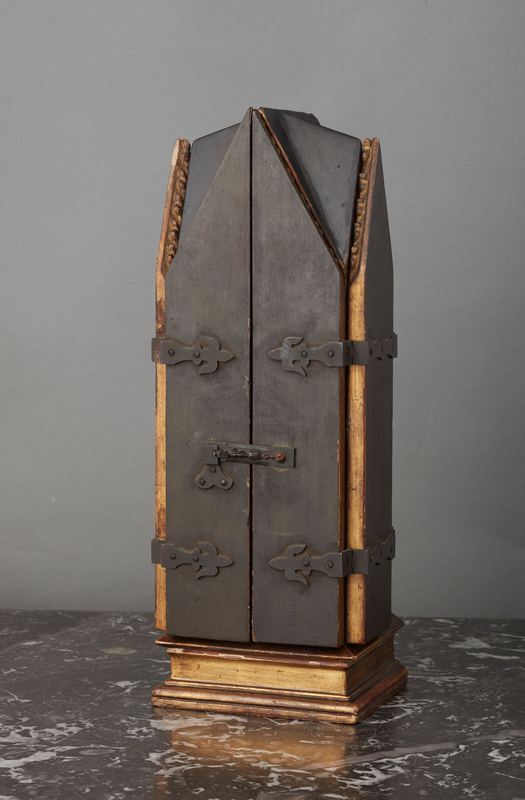 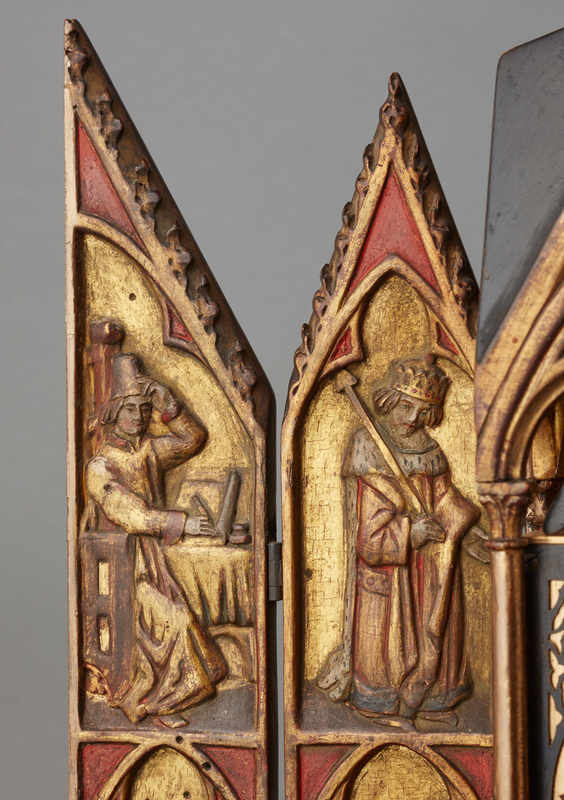 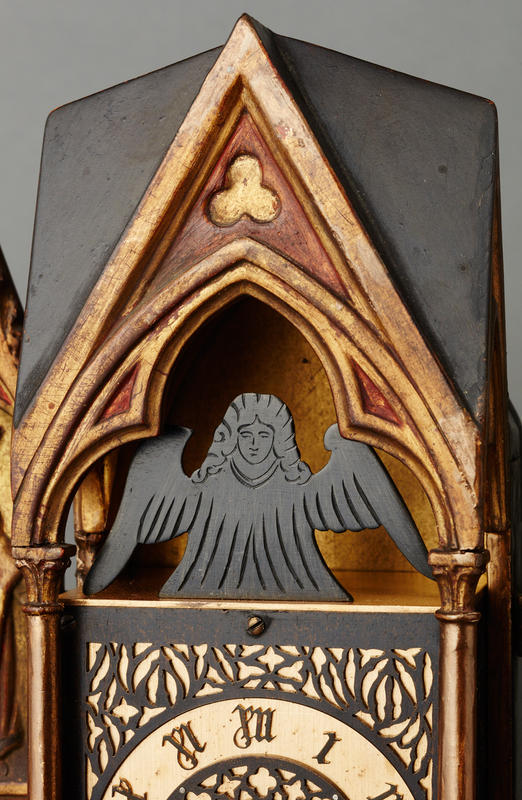 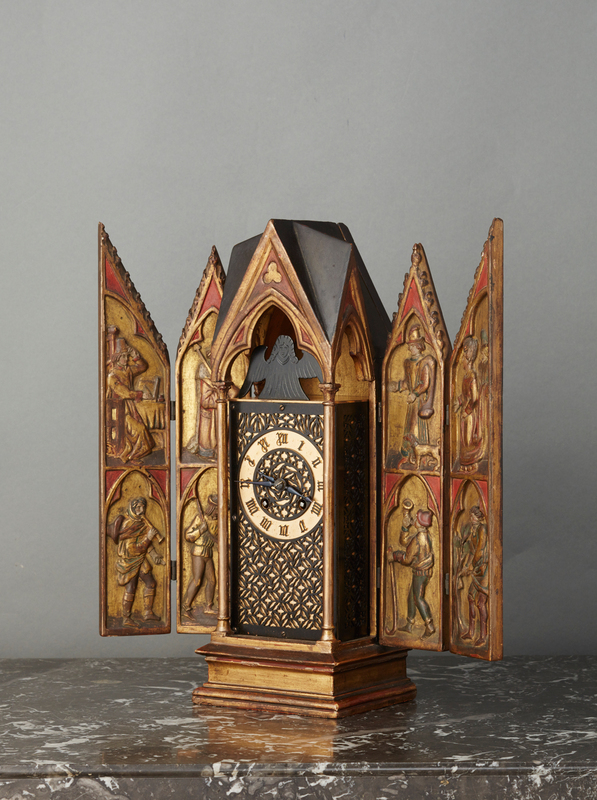 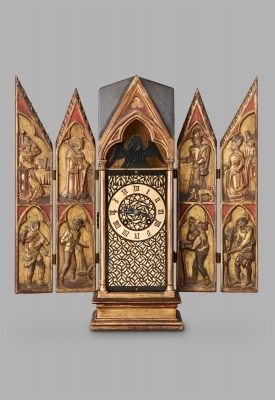 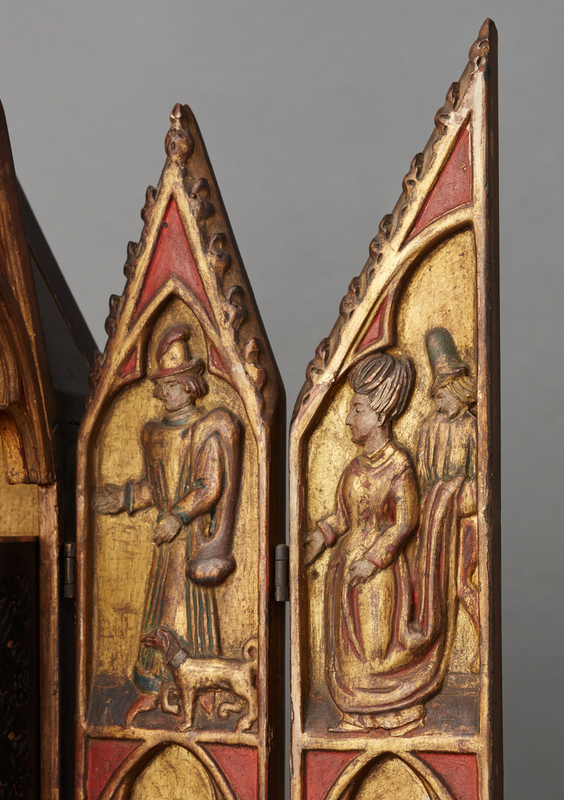 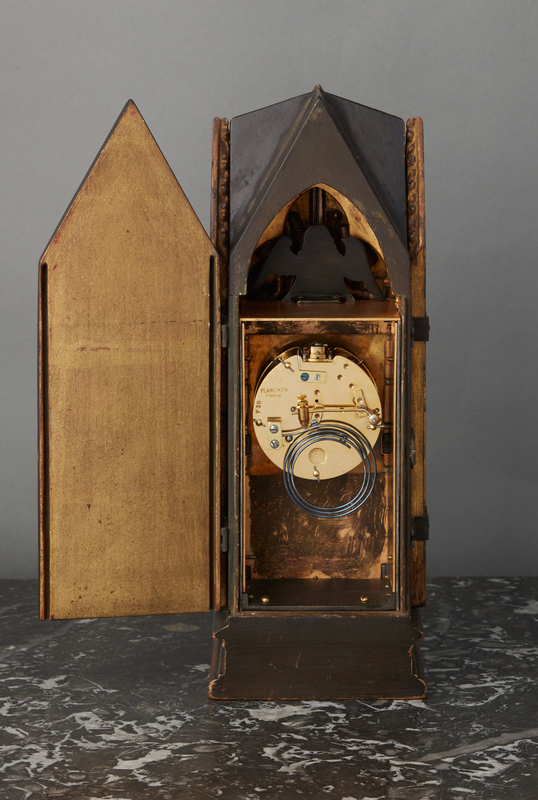 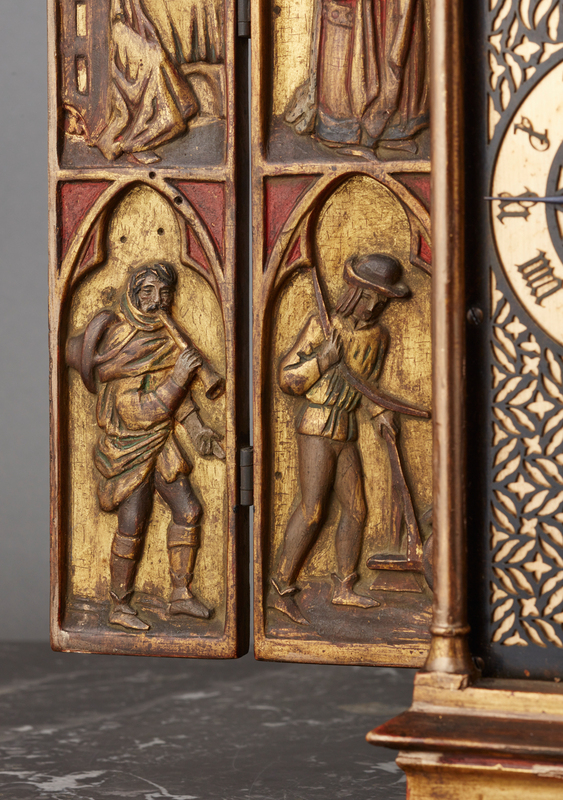 A very nice polychrome neogothic woodcarved triptych travelling clock signed Planchon a Paris. 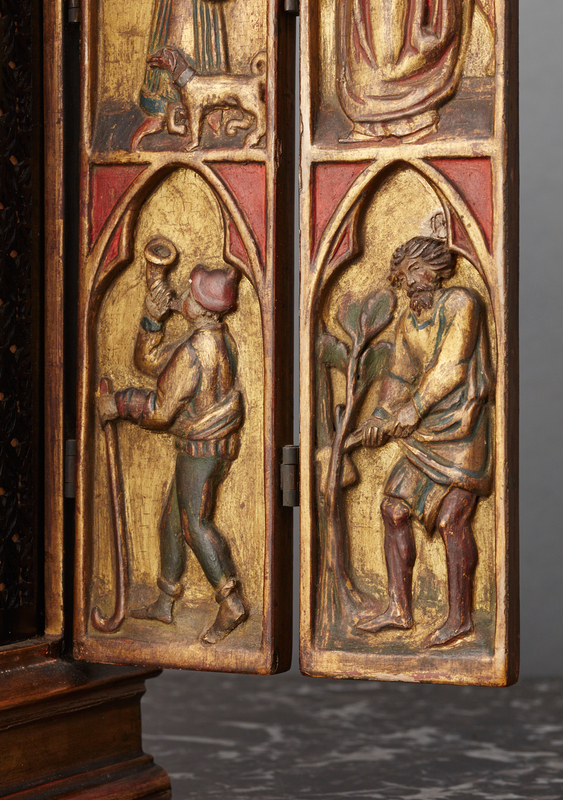 The beautiful woodcarving symbolized the poor people under and the rich above. 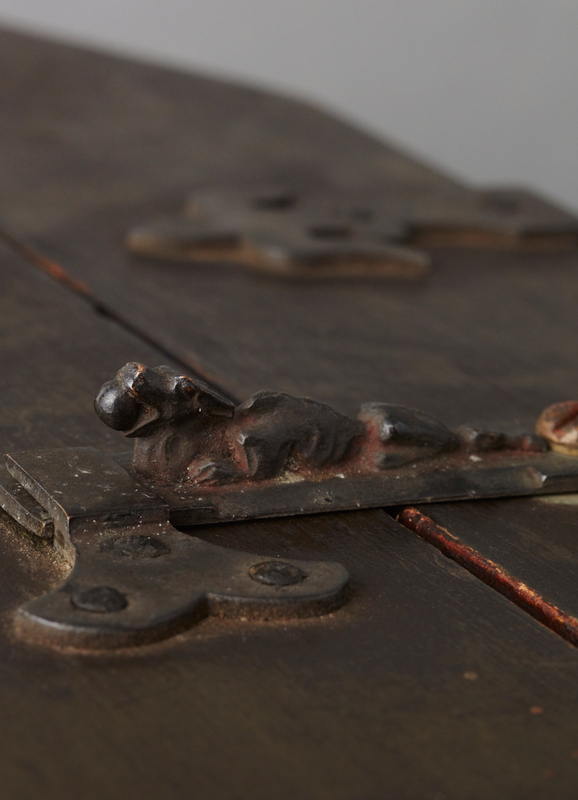 On the outside when the doors are closed beautifull hinges and a nice dracon detailed key lock. 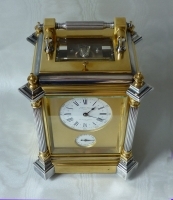 The go and striking 8 day movement with lever escapement and nice pierced dial.